World-renowned scientist Anlon Cully is unexpectedly swept into the thick of a suspense-riddled adventure when his archaeologist uncle, Devlin Wilson, dies under suspicious circumstances. Prior to his “accidental” fall off a New Hampshire mountain trail, Devlin made the discovery of a lifetime – unearthing undeniable proof that a technologically advanced society thrived on Earth long before archaeologists thought possible! The key to this shocking evidence lies in a set of mysterious stones forged by a long forgotten race of ancient mariners. Instilled with formidable powers to build, communicate, fight and heal, the stones draw the ruthless attention of villainous thieves hell bent on their acquisition by any means possible…including murder. Aided by friend Pebbles McCarver and police detective Jennifer Stevens, Anlon follows traces of bewildering clues left by his uncle in a dangerous chase to unravel the stones’ secrets before the killer strikes again and escapes with the priceless artifacts. Peppered with the thought provoking intrigue of a Douglas Preston and Lincoln Child thriller, Shadows of the Stone Benders leaves readers questioning the technological prowess of modern man and the belief that Neolithic humans were nothing more than unsophisticated cave dwellers. 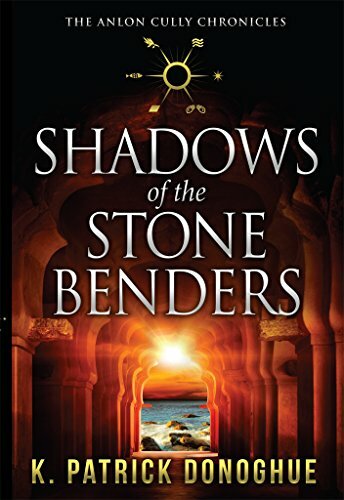 Click here or type in http://geni.us/sbenders into your web browser to pick up your copy of Shadows of the Stone Benders in the Amazon Kindle store. K. Patrick Donoghue is the author of two series; The Anlon Cully Chronicles, an archaeology-based mystery-thriller series, and The Rorschach Explorer Missions, a new sci-fi thriller series. Patrick’s inspiration for The Anlon Cully Chronicles is rooted in his long-standing interest in ancient civilizations. In particular, a series of still-unexplained archaeological discoveries that suggest at least one advanced society thrived on Earth long before consensus views. In similar fashion, Patrick takes a contrarian/alternative view toward deep space exploration, the existence of extraterrestrial life and ancient aliens in The Rorschach Explorer Missions. He lives in the Washington, D.C. area with his wife and two sons. 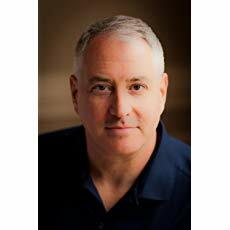 You can visit his Amazon author page if you click here or type in http://geni.us/donoghue into your web browser.